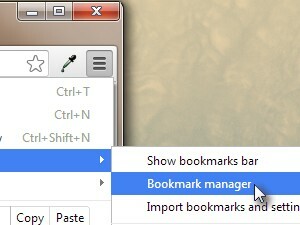 ... and choose Bookmark manager. 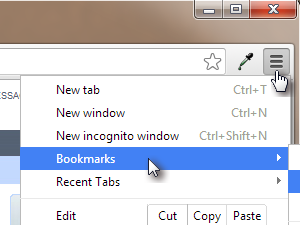 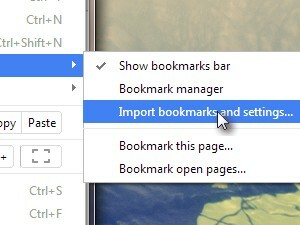 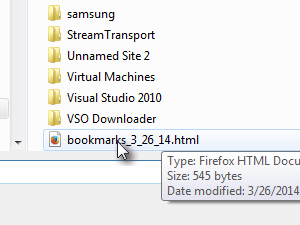 Save the bookmarks.html file to the default or preferred location on your computer. 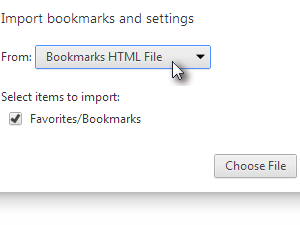 All your bookmarks are now saved in the html file, you can now copy the file to an USB key and then copy the file from USB key to another computer. 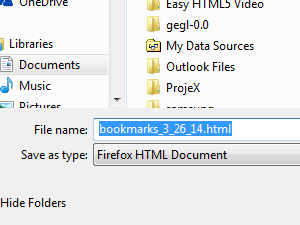 If you don't have an USB key you can attach the bookmarks html file to en email, and send the email to your own address. 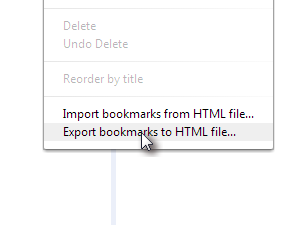 ... now find the saved bookmarks.html file and double click to import it. 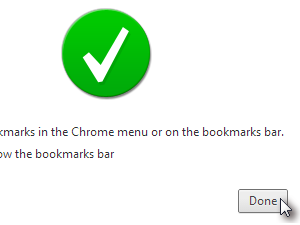 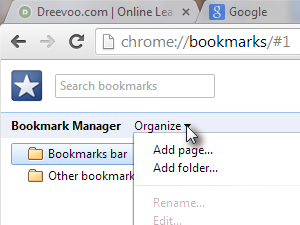 Click Done and your Bookmarks should now be visible in Chrome.